Art = Life at R.L. 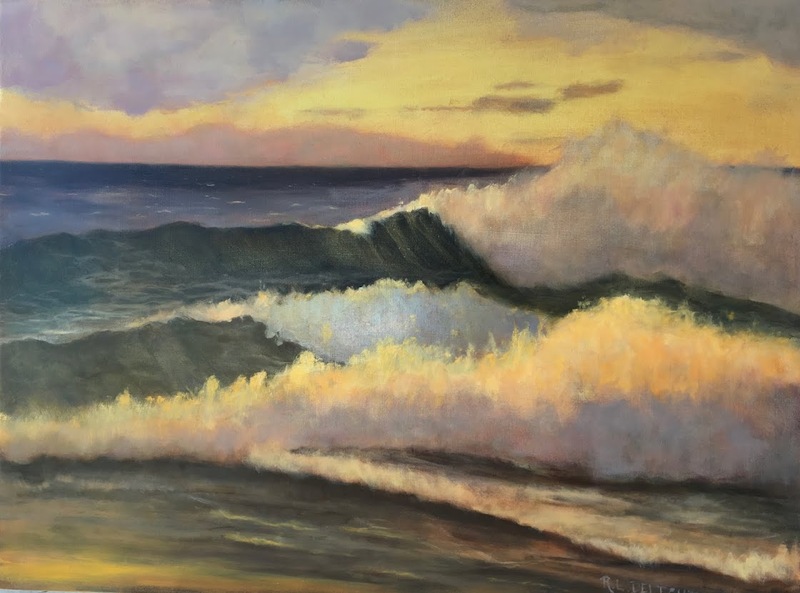 Delight Fine Art: Warning: Serious Art Geek Post Ahead! There are many in-between times during the day. You would recognize them, those little 10, 20, 30+ minute segments where one thing is finished and you take a moment (I hope!) to breath before jumping into the next. I am in one of those moments this weekend. I have the next still life set up, I need to build a prop to use for a series of paintings I am starting, and I am working on a composition for a very special piece. I am building up my "pipeline" so that I can whittle down a bit of the in-between time. I still need those little breathers though. There is plenty of wonderful things to do after I am finished with the deep breathing, like read and study. I love books. Always have, in fact, before I even started kindergarten I diligently learned to write my name since that was a requirement to have my very own library card! My mom had already taught me how to read. So, for today's post I thought I would share some of the art-related books I am reading. I read a lot of books on art marketing since I will be living off of what I earn in the future. 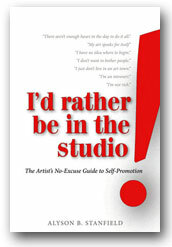 Currently I have read or am reading Dreama Tolle-Perry's The Artists Toolbox, and Alyson B. Stanfield's, I'd rather be in the studio. I have just finished reading Studio and Business Practices by Deborah Paris. Many of these books are self published. I have learned a lot from all of them. Studio and Business Practices is a bit advanced for a fledgling artist like me but, I want to know where I need to go and start preparing. I have found her book to be a great tool for me. All of these artists have experience and practice to back them up. They all take different approaches. I like that. I continue to study art history. I have recently read, Caravaggio: A Life Sacred and Profane,’ by Andrew Graham-Dixon. 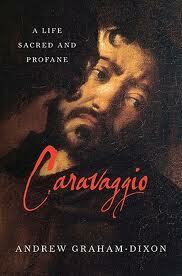 Not much is really known about Caravaggio. It was interesting but I ended up skimming most of it since, like many of these books, it becomes the author's opinion and interpretation, even if an educated one, when facts are scarce. 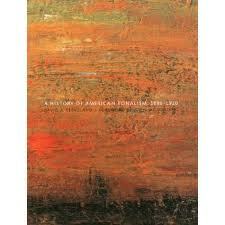 I am in the process of reading A History of American Tonalism: 1880-1920 by David A. Cleveland. I check the art history books out from the library. I usually walk to our local library as it is not far away. The book was ready for me to pick up yesterday so I walked. I knew the book would probably be oversized but was a bit taken-aback to find it is a huge 15 lb. tome of a book. A beautiful tome at that. I have been looking at the pictures and dipping a bit into the text. The first few dips made my eyes glaze over. I mean, when I read words like "prelapsarian" and "insularity"* I am thinking it is not going to be one of those reads that are hard to put down both figuratively and literally (I have to use a lap desk to prop all 609 pages, 10" x 14" -ish of it and it is a bit of a struggle to get out from under it!). I did find enough exciting text to encourage me to have a closer look. The last bit of reading that I am going to talk about in this post today is, for me, the most exciting. There is a new online artist magazine called Artists on Art. I subscribed within a few minutes of looking it over and I am so very glad I did! You can either subscribe for the online only version or online and PDF download version. I am impressed with the quality of both the images and the writing. For a fledgling artist like me this is the kind of information I am hungry for. Well, this is a lot in one post, I know. Needless to say, I don't watch much television, if at all. My screen time is reserved for the internet, the bulk of which is done on the weekends. I mention this because it is just the choice I make for me to get where I want to go and is neither right, wrong, best, or worst. *P.S. Yes, I had to look up prelapsarian although I could guess from the context. Prelapsarian: characteristic of or belonging to the time or state before the fall of humankind. 2 : characteristic of an isolated people; especially : being, having, or reflecting a narrow provincial viewpoint. Definitions courtesy of Merriam Webster dictionary. These words are not part of my vocabulary since they are really not part of my worldview.